Frank Núñez was born and raised in Yuma Arizona. 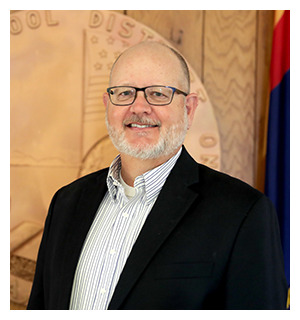 He graduated from Cibola High School and went on to graduate from Northern Arizona University with a Bachelor of Science in Criminal Justice, a Bachelor of Arts in Spanish, and a Masters in Educational Leadership. He has been a school and district level administrator for 7 years. Prior to being an administrator, his varied classroom experience as a teacher of Spanish, Government, Economics, AVID, Academic Decathlon, and Advanced Placement classes provided him with an invaluable insight on the academic capacity of students, and solidified his belief that every high school student can graduate from college and be career ready. 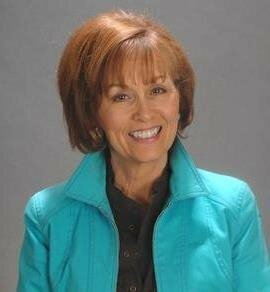 Nancy T. Blitz has taught English as a Second Language at Arizona Western College both part-time and full-time since the late 1980s. She is a graduate of the University of Arizona with a B.A. in German, and her M.A. in TESL (Teaching English as a Second Language) is from Northern Arizona University. She spent two years as a full-time instructor of Bilingual/Multicultural Education/ESL on the NAU-Yuma Branch Campus where she continues to teach in a part time capacity. Over the years, she has had as students in NAU undergraduate and graduate programs. Many of those teachers have been nominees for the Yuma County Teacher of the Year. and district level administrator for over 20 years. Helen Morrow Coffeen arrived in Yuma from California in 1977 to work for the Crane School District. She has taught third, fifth and sixth grades, and has been an assistant principal and a principal. She has worked at Viejo, Rancho Viejo, Crane Junior High, Pueblo, and now Centennial Middle School. She is passionate about providing an outstanding education to our students in a safe fun learning environment that prepares our students for college and careers. She believes an education opens doors of opportunity, gives a panoramic view of the world, and allows students choices to follow their dreams. Michael J. Sabath has been in higher education for 35 years. A first-generation student who grew up in a military family, he earned a B.S. in Business Administration from the Haas School of Business at the University of California-Berkeley, an MPA from California State University-Chico and a PhD from the Graduate School of Public and International Affairs at the University of Pittsburgh, Pennsylvania. Dr. Sabath was with San Diego State University for 23 years serving as a professor, division chair, and Associate Dean. Prior to this, he taught in the School of Business and Public Administration at the University of Missouri-Columbia and in the Department of Criminal Justice at Indiana University-Bloomington. He is married to Maria Lourdes Sabath and has three children. Joann Chang has taught at Arizona Western College (AWC) since 2010 for the department of Biology and is the current Director for the Center for Instructional Excellence. She obtained her B.S. in Materials Science and Engineering from the University of Arizona and her Ph.D. in Biomedical Engineering from the University of California, San Diego. She has had the pleasure of being a part time instructor for the Engineering department for AWC and is a current part time instructor for Northern Arizona University – Yuma Branch Campus for their Biological Sciences program. Kimberly Seh has been an Education Foundation Board member since 2009. She is currently the principal at Orange Grove Elementary School in Somerton School District #11. Her educational degrees and certifications include the following: B.A. in Elementary Education, M.A. in Multicultural/Bilingual Education, Early Childhood and Structured English Immersion Endorsement, Principal and Superintendent Certification from Northern Arizona University. After thoroughly enjoying teaching third, fourth and fifth grade in Somerton School District #11, she took the opportunity to serve staff and students as a Staff Developer/Reading Coach in the Crane School District. Administrative experiences include Principal and Professional Development / Curriculum/ Assessment Director for Somerton School District #11. Tom Rush was raised on a farm in Dateland, Arizona with six siblings. Tom studied at Amherst College in Massachusetts and received his Bachelor’s Degree in Economics. 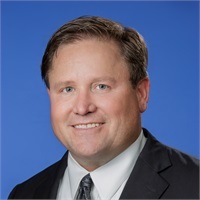 Tom Rush is the founder and president of Yuma Investment Group Wealth Management. He has been dedicated to assisting his clients in achieving their financial goals for over 24 years. Today the firm employees three Wealth advisors, a Financial Planner and a support staff of nine. The firm provides wealth planning services for individuals, corporations, trusts and retirement accounts totaling in excess of 250 million dollars. Yuma Investment Group Wealth Management’s mission statement is to assist its clients in creating and protecting wealth, ultimately striving for financial independence. Tom Rush works diligently with his clients to crystallize their financial goals. He then develops a comprehensive plan to achieve these goals. Because of this "planning" driven approach, he emphasizes long-term relationships which are the cornerstone of his business practice. Tom Rush resides in Yuma with his wife Sandy and their four children: Jackson, Stockton, Savannah, and Houston. When not working, Tom enjoys his family.